The TEAC VR-24 data recorder can record traditional video/analog signals along with CAN, GPS and Pulse data simultaneously in perfect sync. Wide bandwidth (40kHz). Because of its small lightweight design with battery operation capability, the VR-24 is an ideal stand-alone data recorder for on-site measurements. 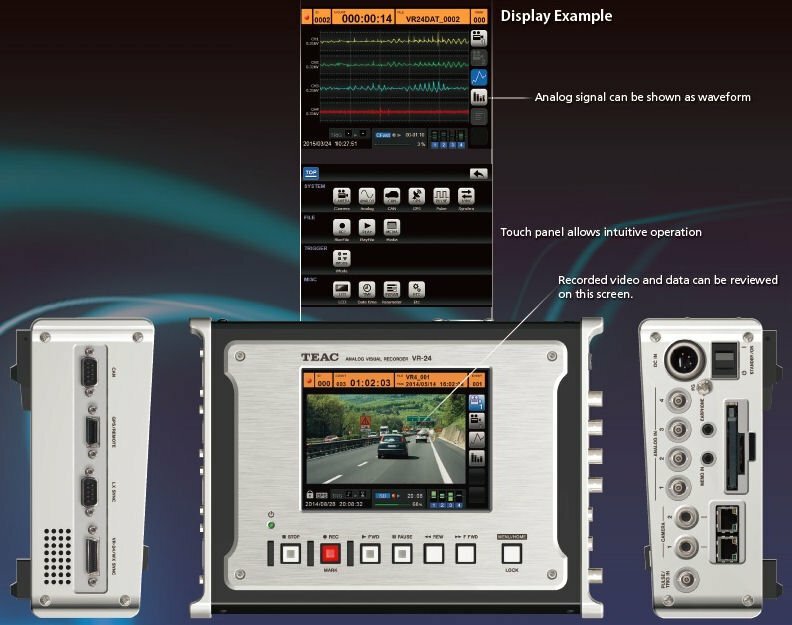 Synchronised recording is possible with other TEAC data recorders, such as the WX-7000 and LX-100 series. As well as between two VR-24 units. 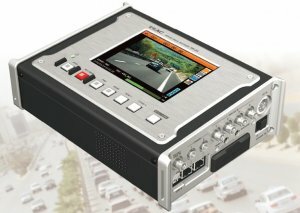 16 - 128 channel high bandwidth portable data recorder, recording to RDX or SDHC media. Excellent replacement to the Sony SIR-1000 series.